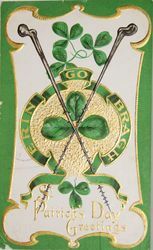 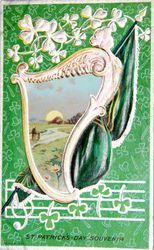 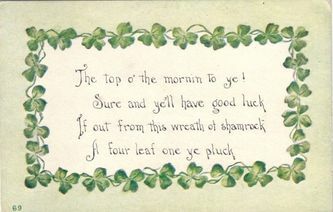 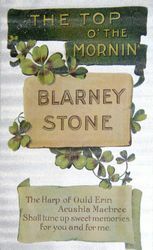 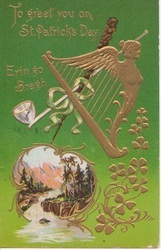 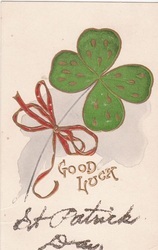 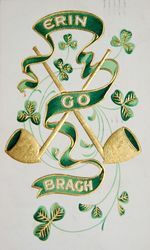 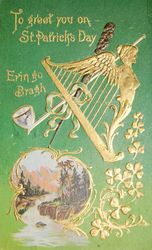 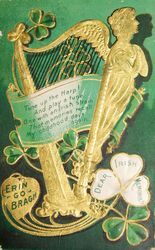 The cards in this collection date from as early as the end of the 19th century and on many it is still possible to read the message that was sent on the back of many of the cards. Once complete, we will be adding a section with the photographs of the backs of those cards that have been written on showing the name and address of the person to whom the card was sent, the stamp and date, and the message written. 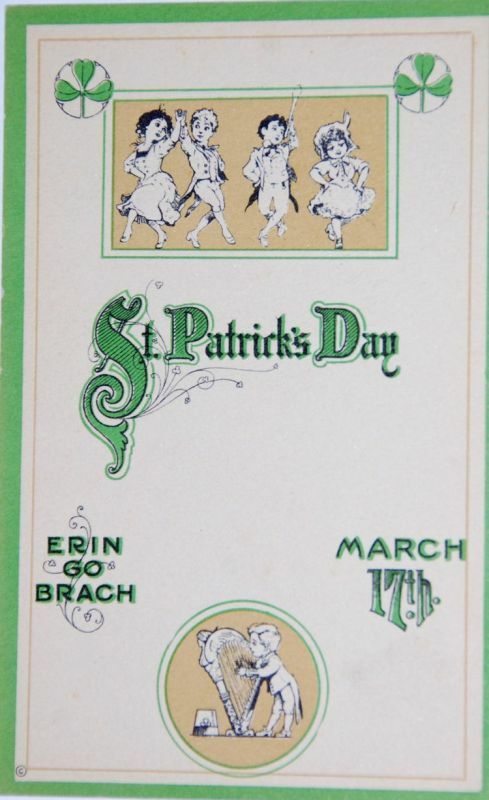 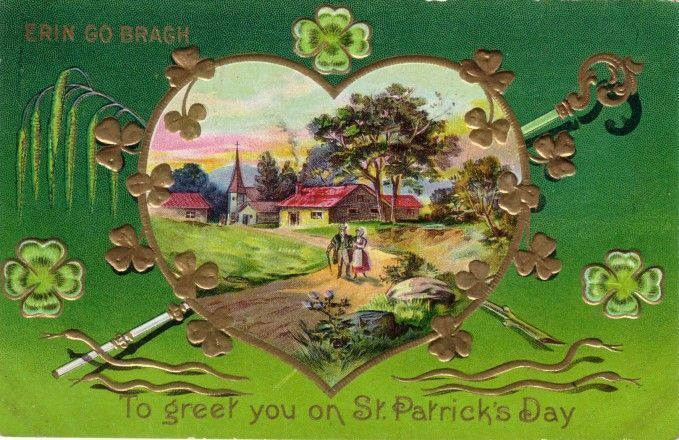 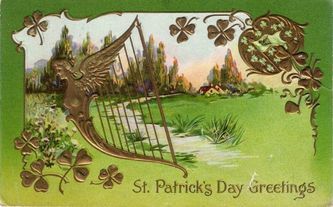 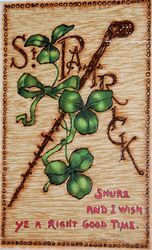 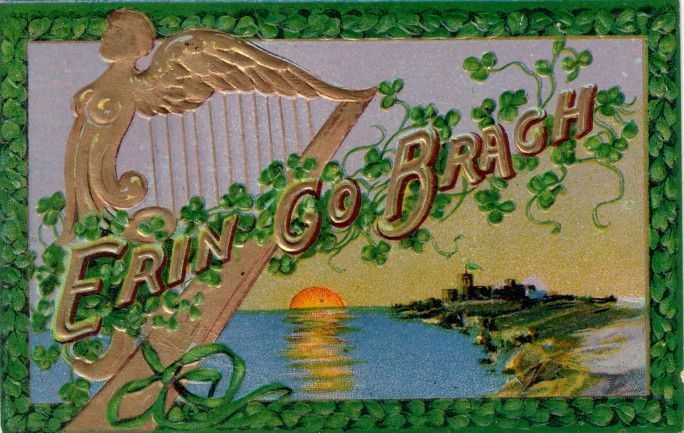 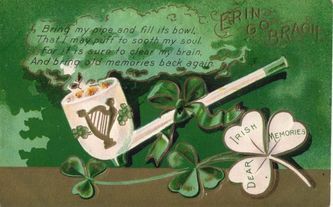 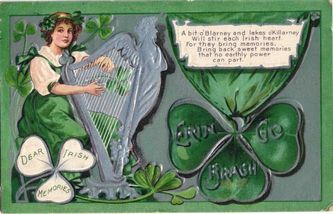 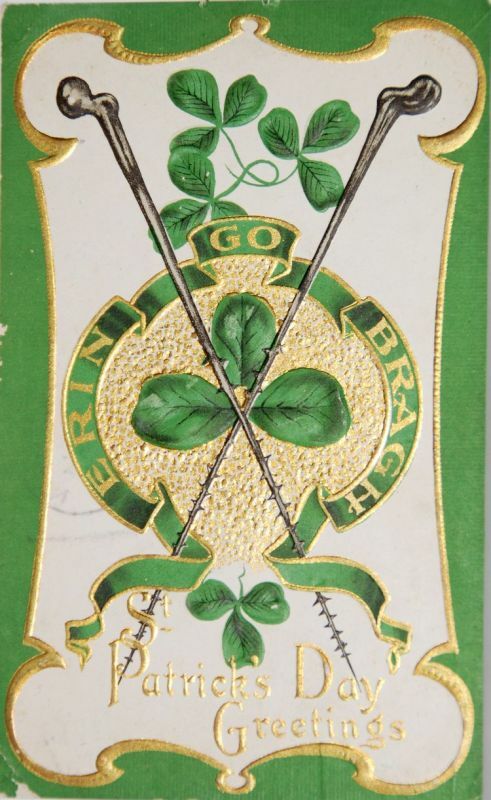 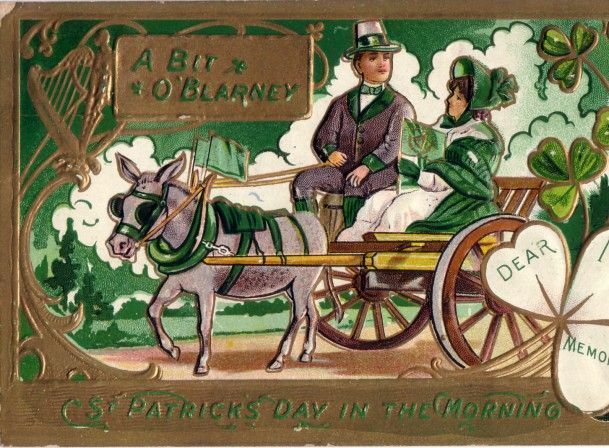 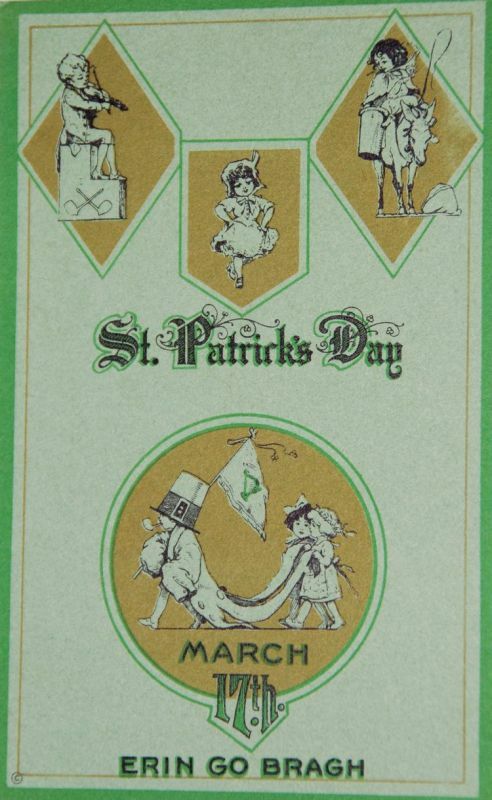 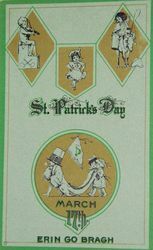 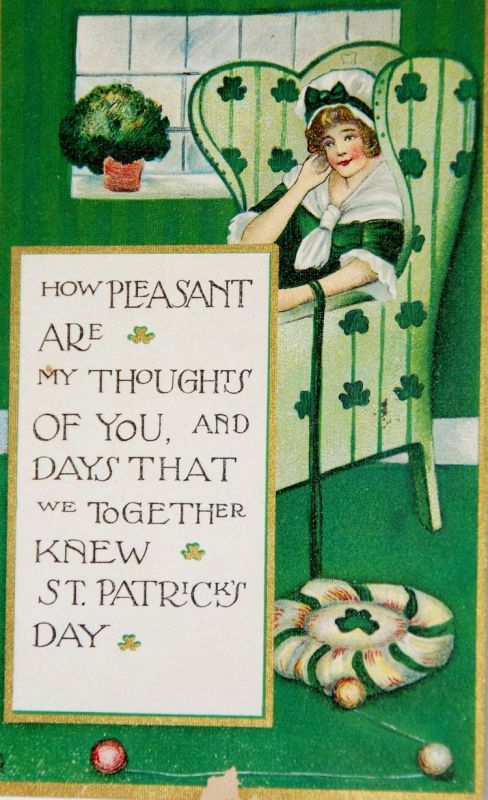 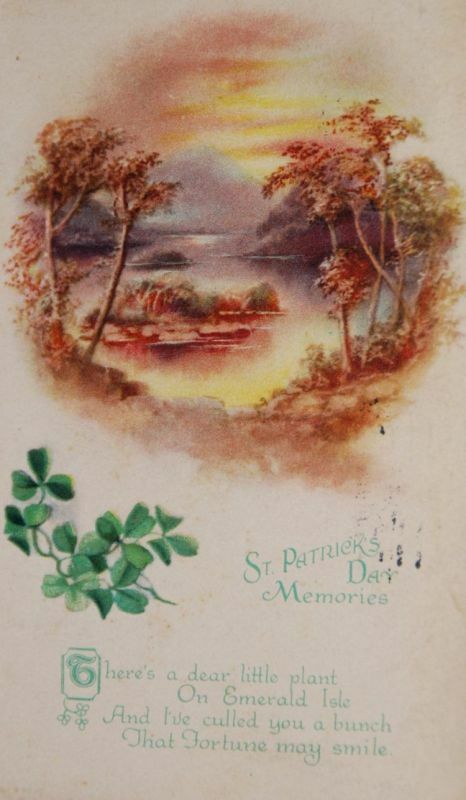 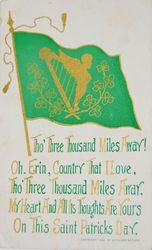 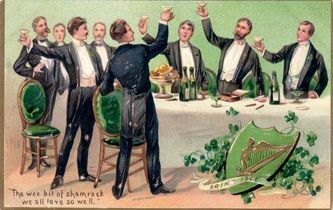 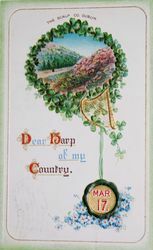 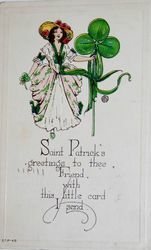 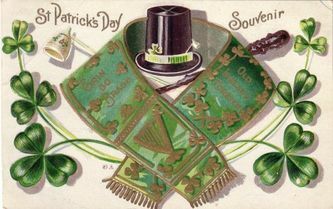 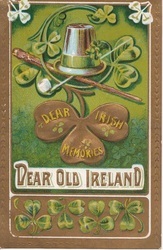 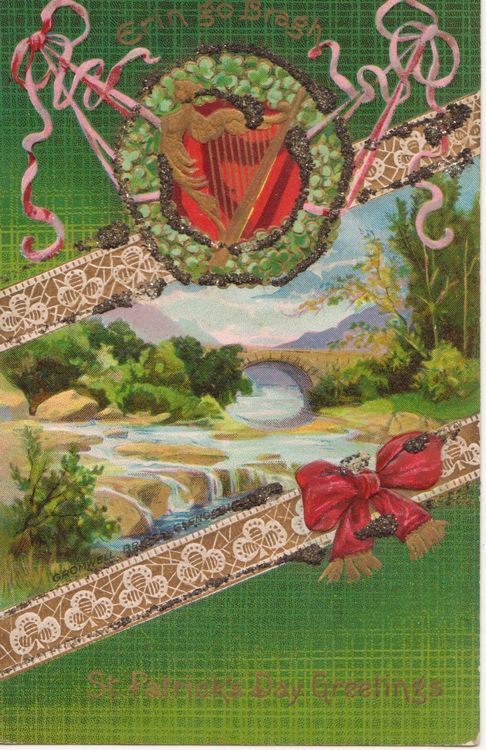 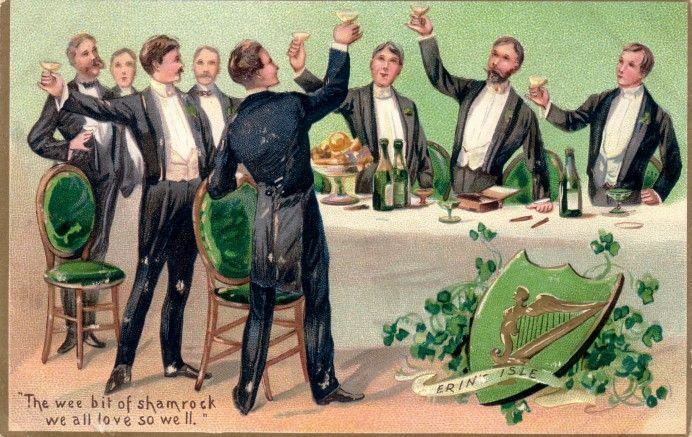 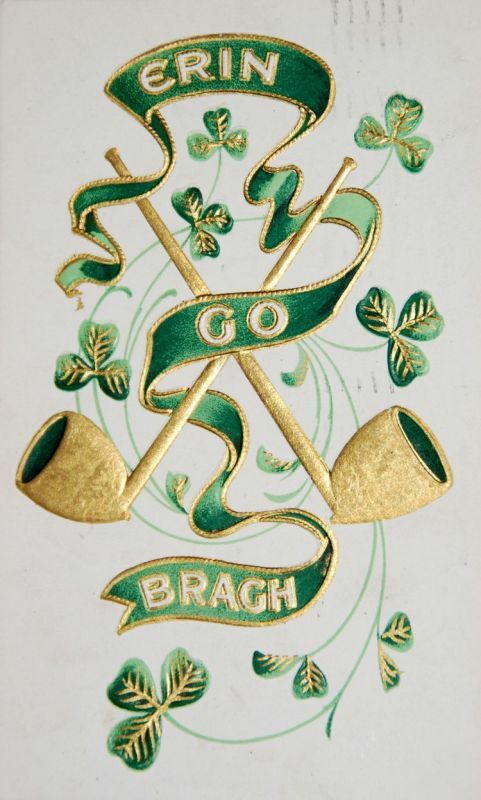 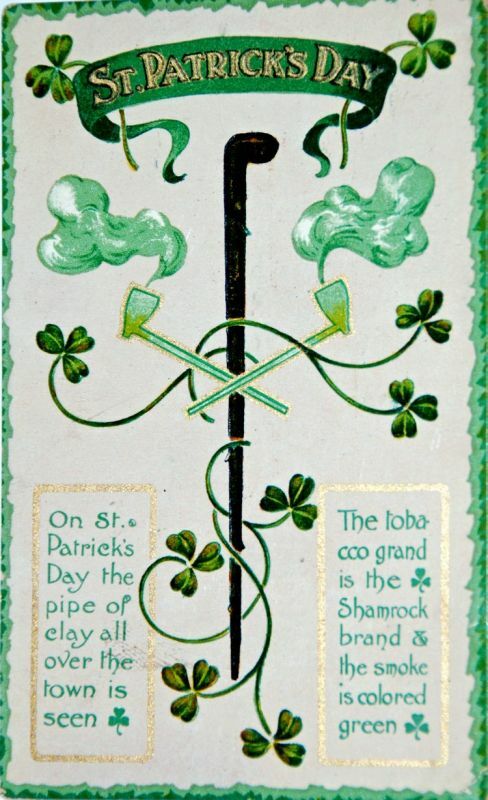 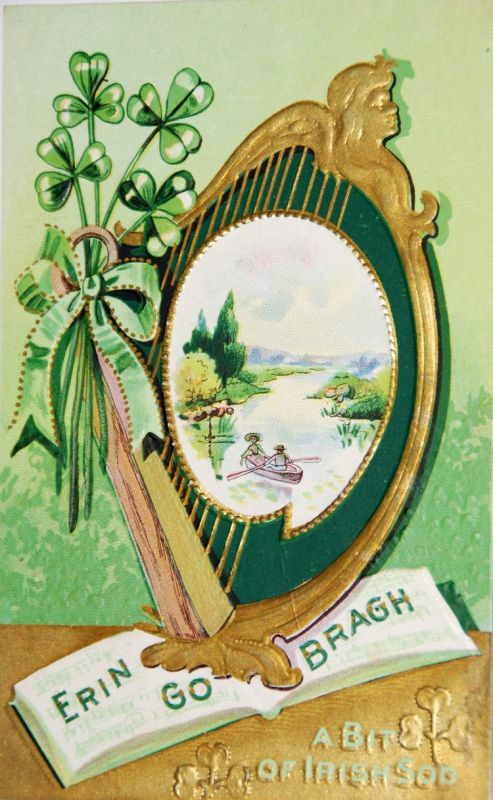 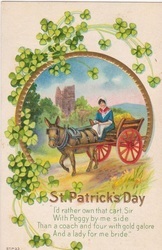 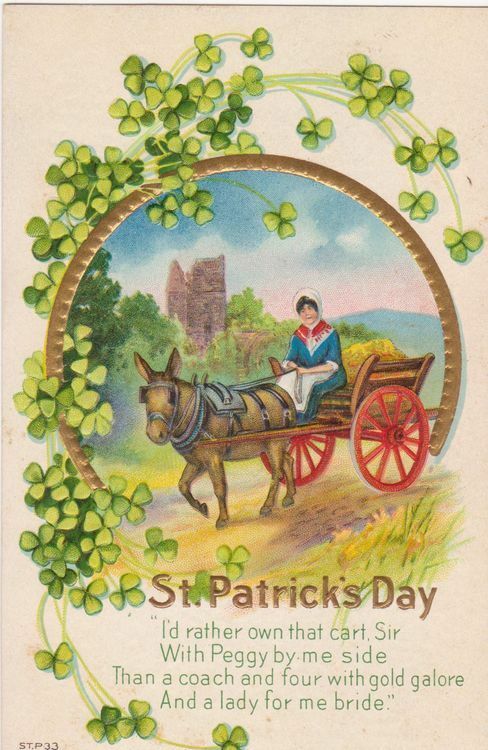 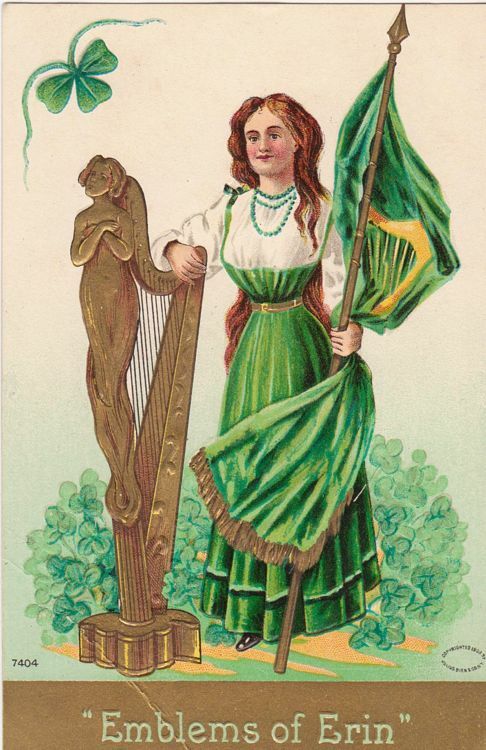 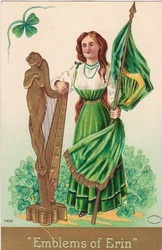 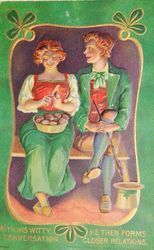 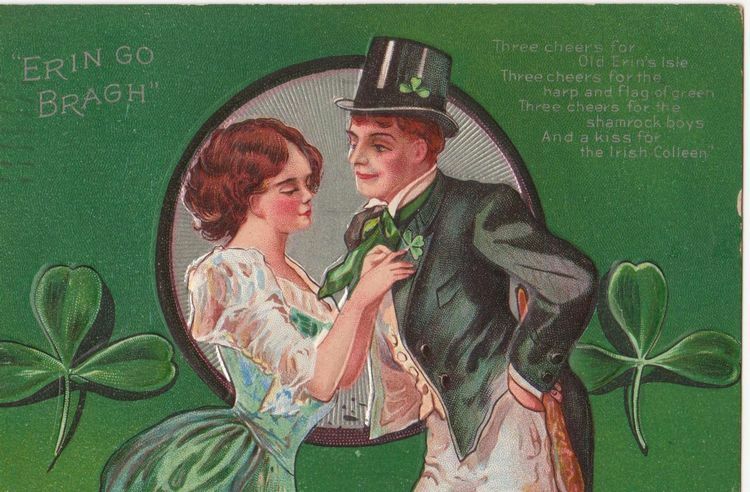 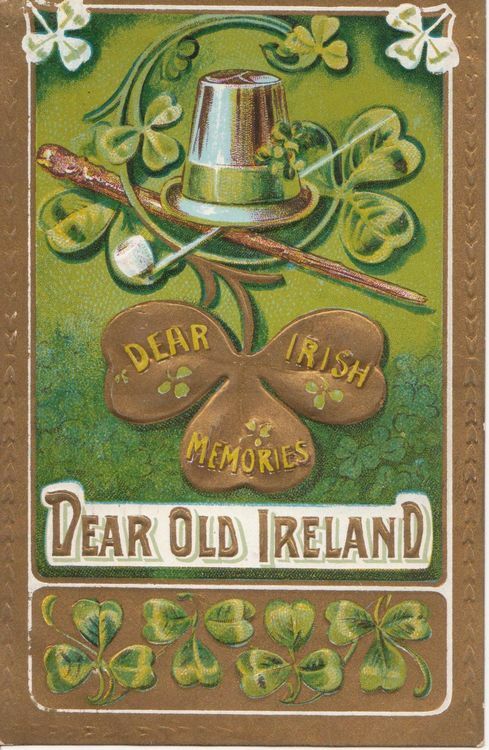 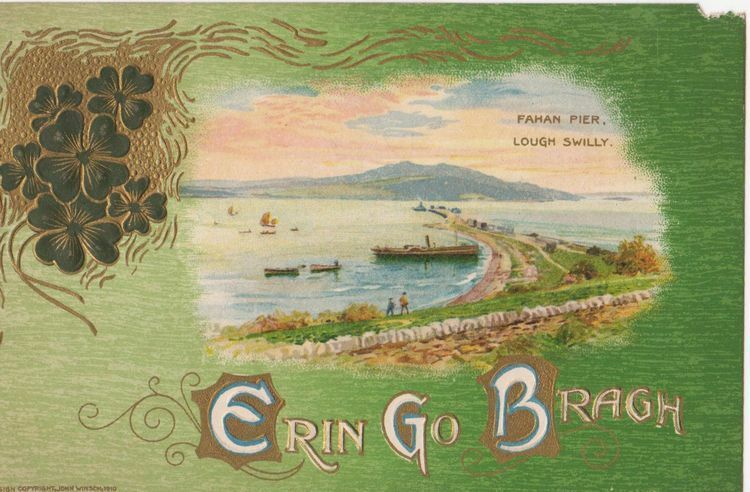 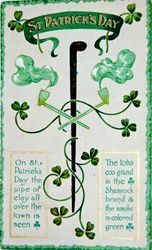 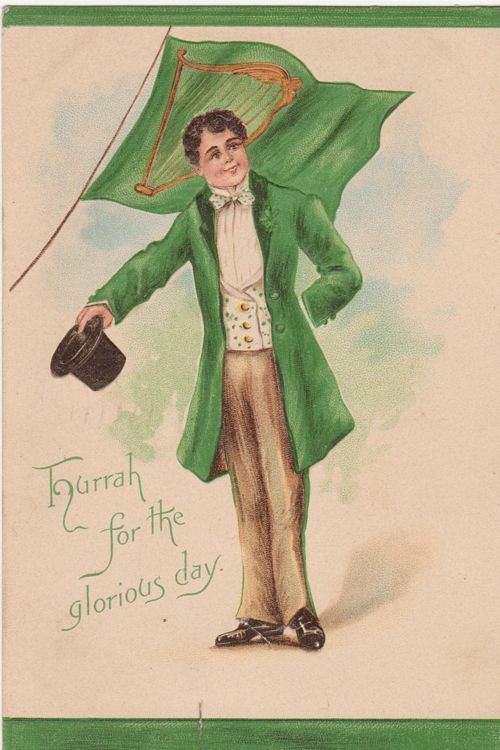 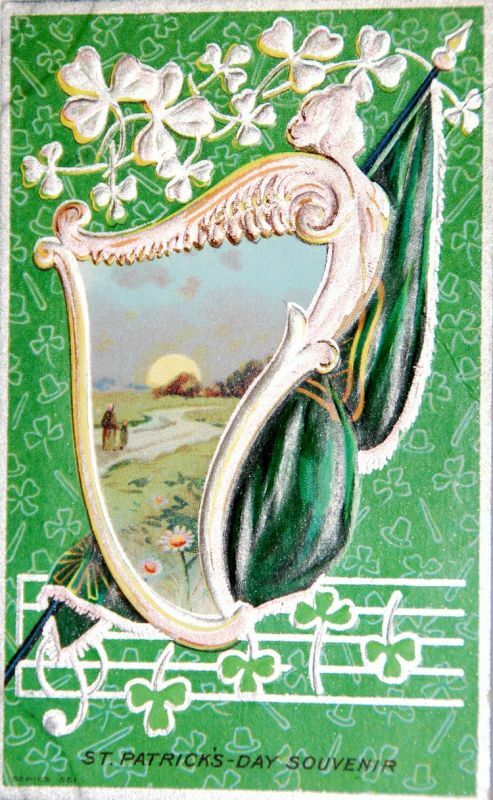 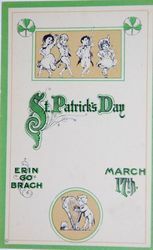 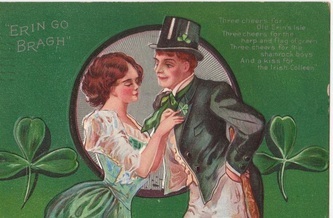 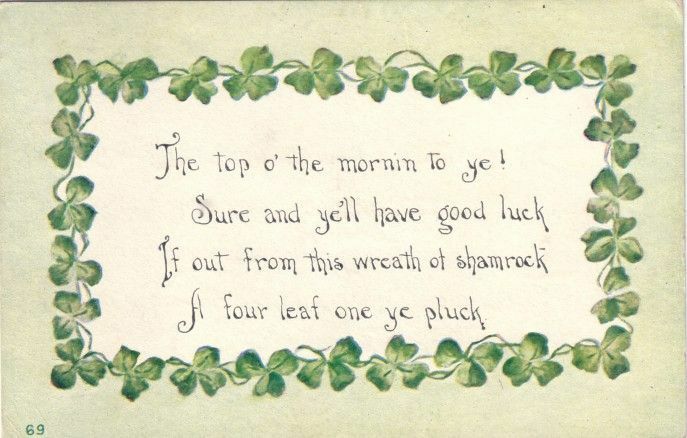 In the meantime, enjoy browsing the old St. Patrick's day cards below. 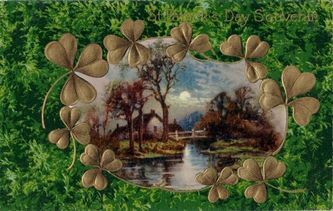 To enlarge, just click on any photo.